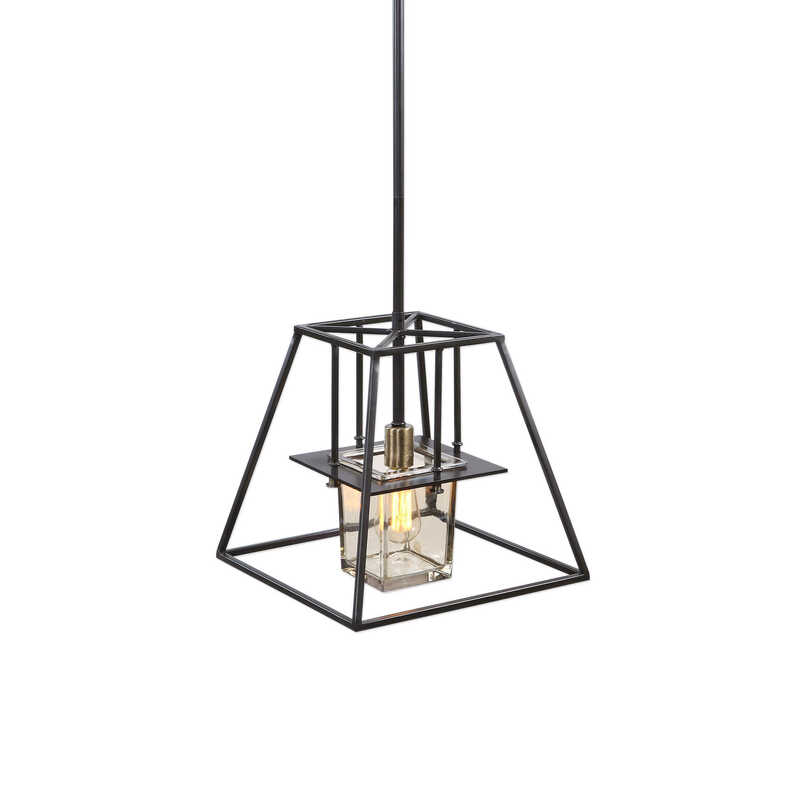 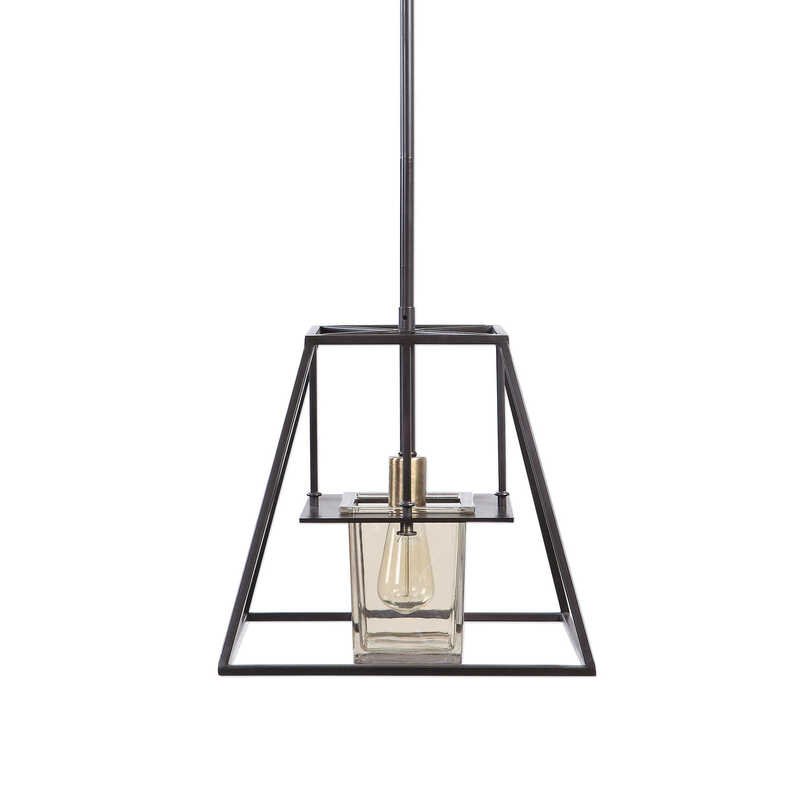 Open and engaging, this geometric 1 Lt. pendant in dark bronze features a unique square central glass in a refreshing Champagne color. 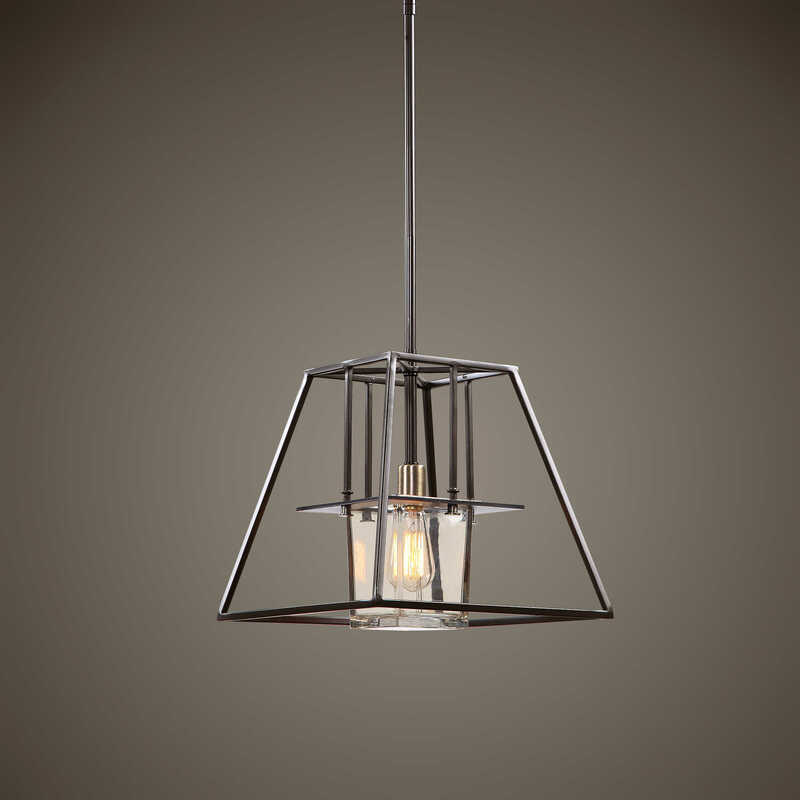 1-60 watt max Edison socket, and for a decorative effect we have included 1-60 watt antique style BT58 clear bulb. 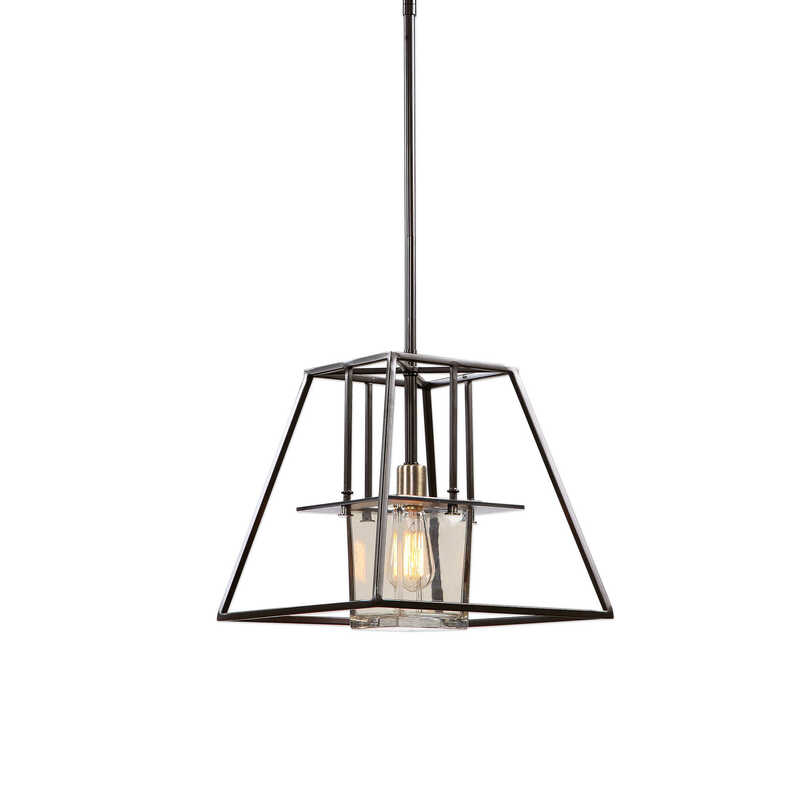 Supplied with 15'wire, and 3-12" stems & 1-6" stem for adjustable installation.